You are here: Home / Uncategorized / Who’s Sassy? So, I’ve recently become a member of the Sassy Scoops team. Sassy Scoops is a local business review site. When they approached me about joining them, my head said “CHAR! You’re out of your mind! You’re WAY TOO BUSY already!” but something in my gut told me I should do it. And my gut’s never led me wrong, so here I am. Once a month I’ll be doing a quick summary of the businesses we reviewed that month. Sharon Johnson Photography – Sharon shoots with film, which I was super intrigued by. She is OBSESSED with customer service and will make sure your experience is a good one. She also took a new headshot of me. It’s on her site, if you’re not patient. Birth Mother Baskets – Birth Mother Baskets was created by Gina, a birth mother who wanted to make sure that all birth mothers know they’re not alone. What a fabulous organization! Spotted Owl Soaps – This was a really fun night for me because Holly knows her crap! The chemistry behind the stuff that you put on your body was fascinating! Spotted Owl products would make EXCELLENT Christmas gifts. You can also enter to win a Spotted Owl gift box over on the Sassy site here. 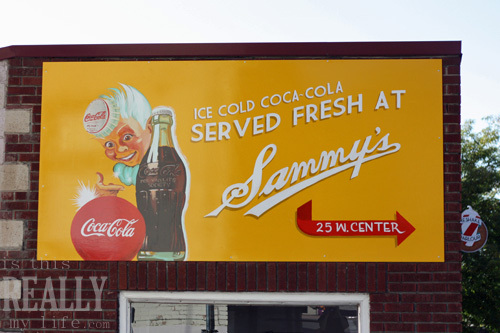 And Sammy’s – I wasn’t a Sassy yet for this one, but it sounds like I REALLY missed out! Who doesn’t love shakes and fries? Not me, that’s for sure. And, last of all, if your name is Beverly, check your email. You may have won $40 worth of Scentsy! You are so talented and creative. I bow at your feet lol. I have to check your blog every day, so keep it coming. Hope your DS brings you lots of candy!